Since PlanetHoster was first founded (in 2007! ), our mission has been to provide the latest web hosting technologies and the best value for money on the market. Over the past 10 years, we’ve seen many web hosts offer ridiculously low rates at the expense of quality. We know that quality service is only possible with high-performance infrastructure and a competent team. And these come at a minimum cost! 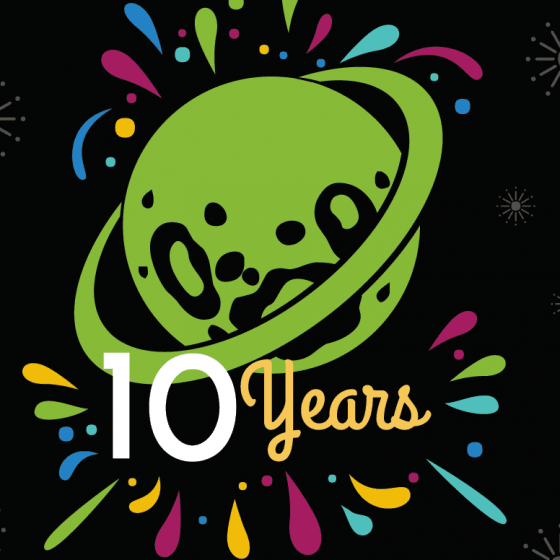 To celebrate our 10th anniversary, we’re pleased to announce the launch of our free web hosting solution. Think of it as our contribution to the web community. By free, we don’t mean useless/throttled/flooded with ads. At PlanetHoster, we mean that, instead of offering low-cost web hosting (less than €6 or $9.60 CAD), we prefer to provide a free service. 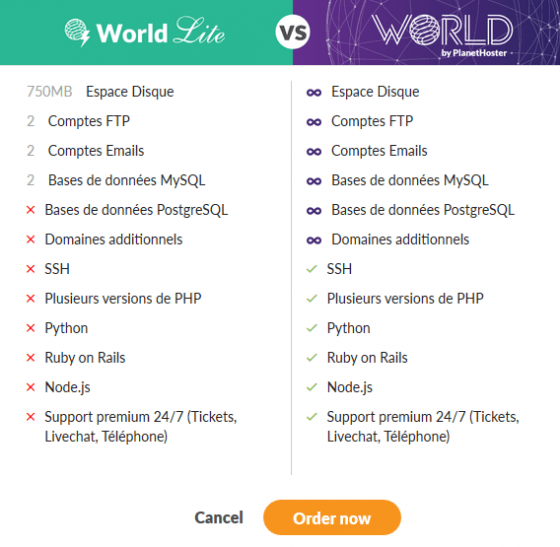 The free version of our World web hosting platform is called World Lite. It’s a free, high-quality web hosting service ideal for creating blogs/forums (more than 180 CMS available: WordPress, Drupal, Joomla!, etc. ), web pages, CV pages, etc. A free SiteBuilder is also included! The possibilities of our new hosting service are endless, so we’d love to get your feedback. Please let us know how you expect to use this product. When you submit an order, you will be asked to choose a subdomain. Many options will be available. By adding this domain name via the “parked/alias domain” option in the World panel, you can improve indexing over time and increase the value of your website/domain name. You can add an unlimited number of parked/alias domains (domains redirecting to the main site) with this solution. You can then use PlanetHoster’s DNS anycast for free. This option is very useful for managing all your domain names in the same place. and by adding the domain via parked/alias domain, you can manage redirections and DNS zones using the World panel or cPanel. However, we limit usage to one main website and two subdomains. At any time, you can redirect your domain name(s) to a Facebook or LinkedIn page. World Lite includes two mailboxes. If your needs change, you can transition to the paid version of World, which includes unlimited mailboxes. You can upgrade to World (the paid version) at your convenience if you’d like personalized support. It is possible to upgrade from World Lite to World? Once your payment has been processed, our automated management system will update your service and unlock all features. It’s transparent and instantaneous! Why offer a free service? We strongly believe that discovering the possibilities of website creation shouldn’t cost you money. Whether you want to create a personal website or simply learn about website building, World Lite is the perfect hosting service for you. It will always be 100% free. If you have comments, please share them with us below. You are doing awesome work in the hosting industry, Keep it up! Thank you for your feedback. A pleasure to serve you.